It’s that time of year. Where the weather starts to change and get cooler. I know in my family we love to have some hot comfort food. Last night I made a pot of Chili. The flavors and spices really took the mouth on a roller coaster ride. I mixed some Black and Red kidney beans. You can add any kinda of bean if you want to give it a little more color. Also you can make this with vegetarian ground beef. I also made some homemade corn bread. In my corn bread I add fresh corn kernels just to give it more of that corn flavor and crunch. 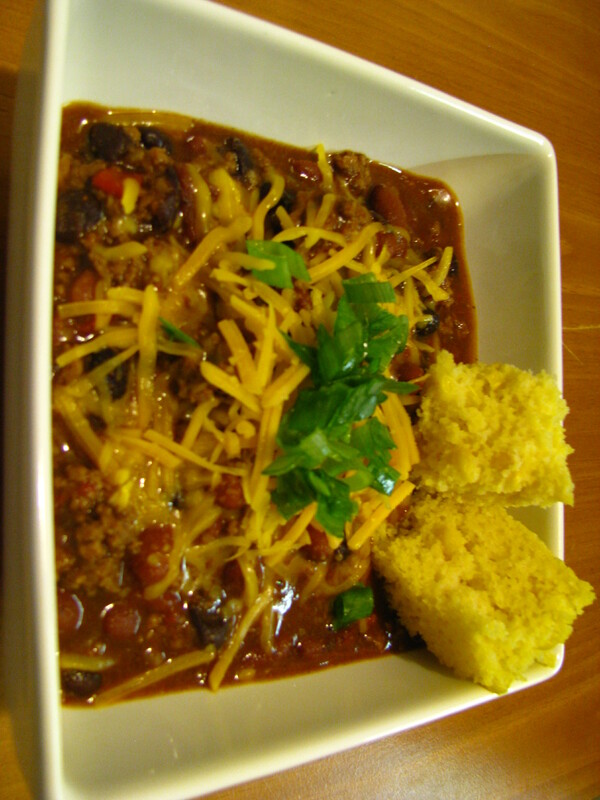 Top the chili with some Sharp cheddar and scallions and you got something yummy for your tummy. 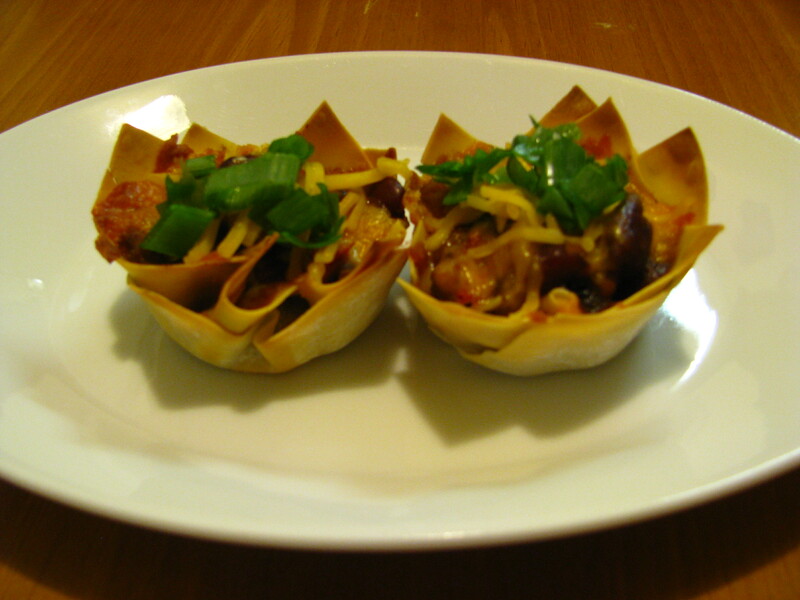 In the mix of all this I came up with an idea, why not make some Chili cups with wonton wrappers. This is such a great idea for entertaining and for those tailgating parties. Enjoy! Yess! I love the fall! I can’t wait to sit down with my family and eat a great big bowl of chili. This looks amazing! I would never have thought of the wonton wrappers…love the idea! I think the wonton wrappers is the new food trend as I’ve seen it a few times on pinterest. I think it is a fabulous idea! What a great way to present the food. looks amazing!!! The wonton wrappers are adorable!! Love the wonton wrapper idea, going to try with leftover phyllo dough for next office party! Yummy! I love beans. I am now craving your yummy chili.